This single was released as part of the Gold Standard Series, even though it had not been released before, with these two songs together. I'm Yours did not have Elvis dubbed harmony and recitation. The history books say it was a "mistake". I have a different opinion, the undubbed version was used in the movie as the self harmonizing and the recitation would not have made sense. These were released as a gold series reissue single, although they hadn't been released as singles together previously. 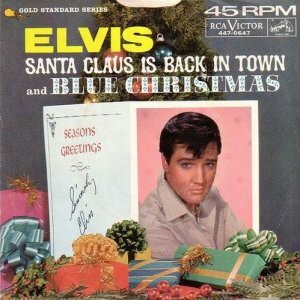 This great combination would go on to become the only physical platinum certified holiday single in RIAA history. 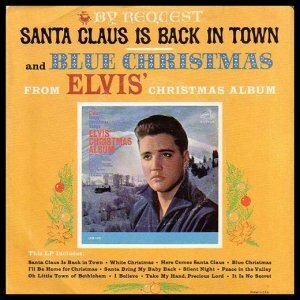 It just might be the greatest two sided Christmas single ever. Tord, Brian Mc, artfromtex and 2 others like this. The release of Puppet on a String as a single just a week before the Harum Scarum album seems clearly to be an admission by RCA that there was nothing on Harum Scarum that could even remotely be considered worthy of single release. They were not wrong about that. Dave112 and mark winstanley like this. 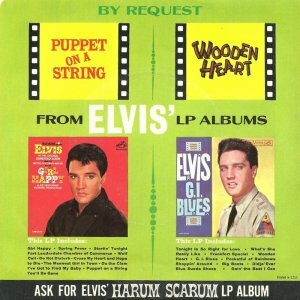 Unless you consider Harum Scarum is probably the SINGLE most disappointing album and movie of Elvis' career. Movie? Yes. Album? I can think of a few worse. Tord and mark winstanley like this. Yes, I think Paradise Hawaiian Style is worse. Tord, Sebastian, Shawn and 1 other person like this. The degree of difference in quality between the three 1965-recorded soundtracks is minimal to my ears. Discussing which is worst is like considering whether you'd rather have a root canal or a severely ingrown toenail. Since I just had a root canal that went south on me repaired on Thursday, I am going with the ingrown toenail. When In Rome, MaestroDavros and mark winstanley like this. I've acquired a boot of Harum Scarum a month or two back and the sound quality is far better than any other version I've heard. It's helped me appreciate it a bit more. For kicks, I put on a first pressing of the stereo LP yesterday, and it's as abysmal sounding as I remembered and this certainly helped taint my view of it negatively. 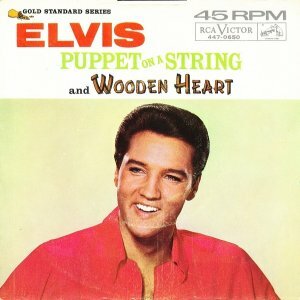 For the LP, Elvis' voice is pushed very far upfront, and the level is pushed to the point of distortion. The band sounds good, but they're relatively faint so it's hard to discern what's going on musically. 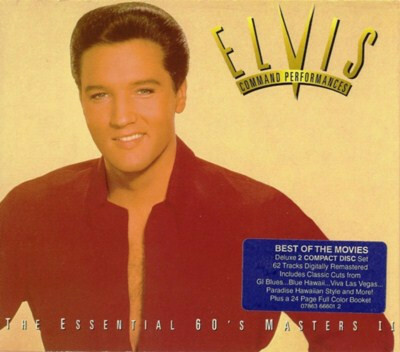 I don't want to defend this album too much, as Elvis' talents are wasted on this material. And the less said about the film itself the better. But there are a few cool things going on that I never noticed before. Brian Mc, Spencer R, mark winstanley and 1 other person like this. I've got a bit of a hike in the jalopy tomorrow so I was picking out a bunch of CDs to bring along and my eye caught this beauty I haven't heard for a while, anyone else still listen to this one? mark winstanley, Shaker Steve and Dave112 like this. That comp was my introduction to a lot of the soundtrack stuff, but years later when I started listening to them more in depth I realized that it's actually pretty poorly compiled, omitting lots of good stuff and including stuff that is not worthy. In part, the compilers hamstrung themselves by deciding that they had to include every title song. In many cases the title song is one of (if not the) worst songs in the film. Beyond that, there's some odd and perverse choices. Most puzzling is that they only include two songs from Viva Las Vegas, while Roustabout gets a whopping four and even Kissin' Cousins and Girl Happy get three. If I was going to compile the best 62 songs from the 60s films, my list would look a lot different than this comp. So it's not something I listen to anymore. Brian Mc, artfromtex, Pelvis Ressley and 3 others like this. Yeah, the original Harum Scarum album is mediocre music that is rendered unlistenable by dint of its terrible mix. The Double Features remix makes the recordings listenable (and is the only way to go as far as listening to this stuff IMO) but it can't change the quality of the material. That is a perfect description of that box set! If I was going to do a part 2 of the 1960's masters, I would have compiled a companion 5 disc set to follow the first 1960's box set. As vast as Elvis' soundtrack work was in the 1960's, it needed 4 discs of soundtrack material and 1 disc of alternate takes and rarities. Tord, NumberEight and mark winstanley like this. Damn, hope it all goes better soon man. I haven’t seen Paradise Hawaiian Style and several other of the mid-60s movies, but I would agree that, of the albums I am familiar with, Harum Scarum is the nadir of Elvis’s career. And yet ... I genuinely like Go East Young Man, and Golden Coins isn’t awful, either. Part of why Elvis could get away with skating through the mid-60s movies, I think, is that he literally could sing the phone book and make it somewhat interesting. Dave112, mark winstanley and RSteven like this. Thanks you guys! Oh, I feel great now, but a few weeks ago, when it first went south, I was rather miserable, but thank goodness for antibiotics. You have no pain after a few days, but unfortunately, if you do not take care of the issue, it would have just come back again. I highly recommend a good Endodontist. It was my first experience with one and I have been out of pain since a few hours after the treatment. Wow! czeskleba, mark winstanley and RSteven like this.